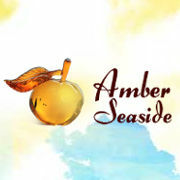 Amber seaside is amber jewellery maker and wholesale jewelry supplier company from Lithuania. Its all started in early 1997 when our company was found and established. Since then our company was known as exclusive amber jewelry maker and reliable wholesale amber jewelry supplier. Today Amber Seaside is the largest company in Lithuania manufacturing and supplying wholesale jewelry from natural genuine Baltic amber. Last Updated: Oct 22, 2018 Listing Expires: Tue Oct 22 09:41:54 2019 This listing has been viewed 432 times.